Spend an afternoon making mozzarella with modern milkmaid and artisan cheesemaker Naomi Fournier at Marionette Winery in Salmon Arm, British Columbia. On Sunday, October 23rd, Naomi will be teaching a "Mozzarella at Marionette" cheese making workshop, and you are invited! Learn to make fresh mozzarella cheese while enjoying a delicious cheese and charcuterie spread with a glass of wine. Make new friends while listening to stories from the farm and enjoying the beautiful view from Marionette Winery. Try your hand at stretching the mozzarella and leave with about 150 grams of fresh cheese, a copy of the recipe, and good memories. Preregistration is required due to limited space. Bring a friend and each receive 15% off! 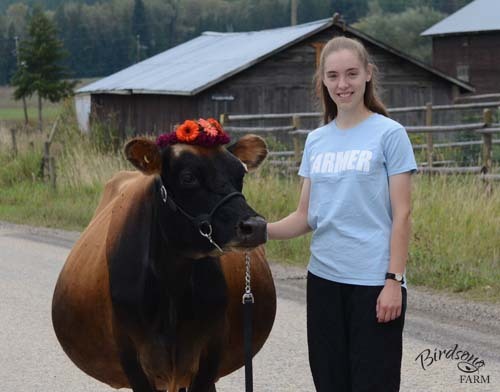 Naomi Fournier is the Modern Milkmaid™ and Artisan Cheesemaker at Birdsong Farm in Enderby, British Columbia, where she raises a small herd of Jersey cows and Nubian goats on the banks of the Shuswap River. Naomi learned to make cheese with milk from her first cow, Blossom, and she's never looked back. Today she shares the magic of making cheese with others as well as her story of what life on the farm is like as a modern milkmaid. Send Naomi Fournier an email at milkmaid@naomisbirdsongfarm.ca, or give her a phone call at 250-938-1606.